Hello, and welcome to DistributionPress.com! My name is Martin Aranovitch. I have over 20 years experience helping businesses of all sizes get results. For the past 10+ years, my focus has been helping clients grow their business online and building several online businesses of my own. One of the main challenges of having an online presence is how to get enough traffic coming to your website or blog on a regular and consistent basis so you can convert visitors into new leads, new customers, and new sales. Over the years, I have successfully generated traffic using a number of different methods, including paid advertising (e.g. Google AdWords) and organic search traffic from writing and publish high-quality content online. The challenge with using these methods is that, unless you learn how to do it yourself or understand how to outsource the management of the processes involved to get optimal results, most traffic generation methods and strategies can become expensive and/or time-consuming to implement and manage. You can spend thousands of dollars on Google AdWords before seeing profitable results and using content to grow traffic organically can take months, even years, before you start driving a sustainable volume of traffic, especially if your business is in a highly competitive market. While looking for additional ways to drive more visitors to one of my online businesses, I discovered the power of using news/press releases. 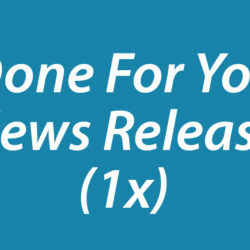 After seeing great results almost immediately, I decided to help businesses get similar results using press releases and started DistributionPress. We Are Systems-Based: All businesses make great promises to customers and many deliver good results, but only businesses with great systems can consistently deliver customers great results. We use proven systems to research, create, and distribute your press releases, resulting in a cost-effective and streamlined service that allows you to start seeing results in as little as 24-48 hours of your campaign going live. We Are Consultative – Even if all you want to do is submit one press release with us, we take the time to understand your business needs before beginning your campaign. 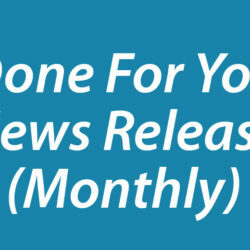 As described in more detail here, as soon as you order one of our ‘done-for-you’ press release writing and distribution services, the first step is to go through a detailed needs analysis questionnaire with you to help us determine the best way to go about creating your press release campaign(s). We Focus On Results – The world of business is ultra-competitive and filled with online marketers making hyped promises. For this reason, our goal is to get you results as soon as possible, in the most transparent way available. 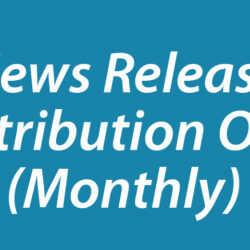 We not only provide you with a distribution report as soon as your campaign goes live so you can check all of the 500+ authority sites we distribute your press release to, we also guarantee to get your releases indexed in Google within 24-48 hours of going live … or we’ll do another release for you absolutely free of charge!